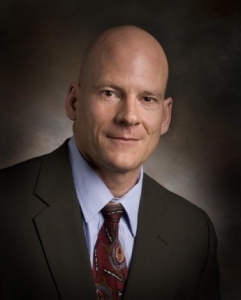 Douglas E. Hintze has been named manager of the Department of Energy’s new Environmental Management Field Office at Los Alamos National Laboratory, overseeing work on the lab cleanup sites. Hintze’s experience includes a stint as assistant manager for mission support at DOE’s Savannah River Operations Office. He has been a member of the Senior Executive Service since 2008, with more than 22 years of experience at DOE nuclear facilities. Hintze was in the U.S. Navy for nine years before joining DOE. He holds degrees from the U.S. Naval Academy, Virginia Tech and the U.S. Naval War College. This entry was posted in Cleanup, DOE HQ on July 20, 2015 by Frank Munger.